You don’t have to sacrifice the newest episode of The Walking Dead for a workout. Enjoy the two together! 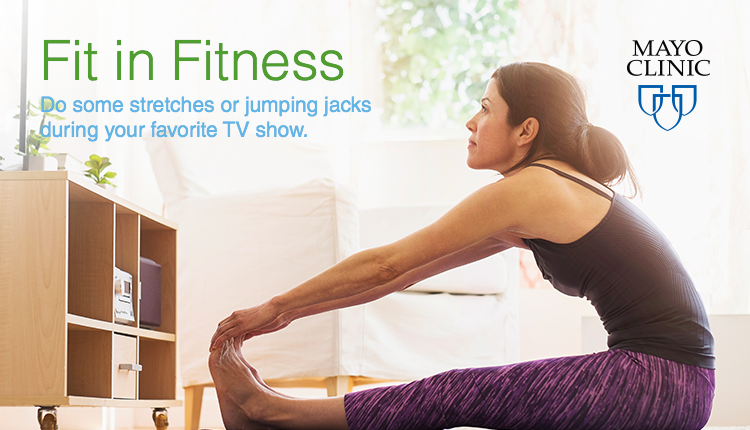 Do some simple stretches, lift hand weights or hop on a stationary bike to fit in fitness during your busy day. You don’t have to sacrifice the newest episode of The Walking Dead for a workout.